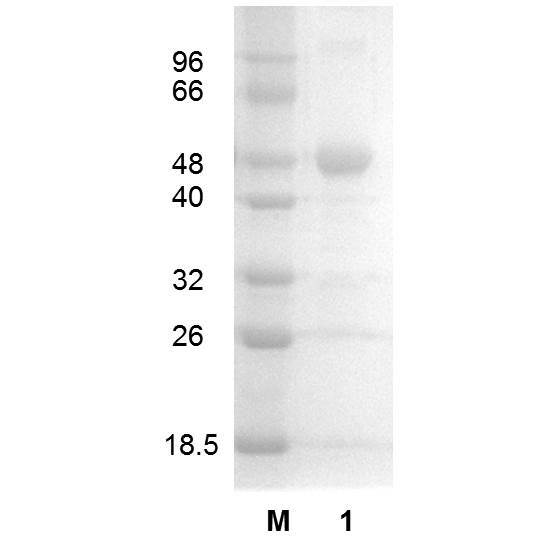 Description: Glutathione reductase (EC 1.8.1.7) is a ubiquitous homodimeric enzyme that catalyses the NADPH-dependent reduction of oxidized glutathione. 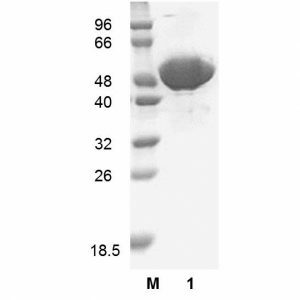 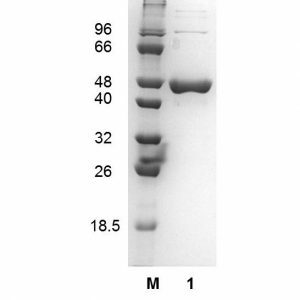 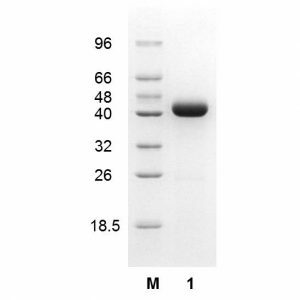 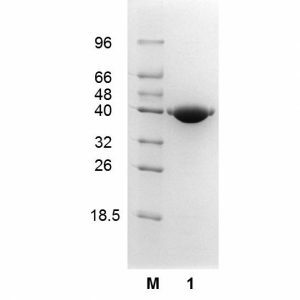 It contains one FAD per protein subunit and shows Km values of 4-9 μM for NADPH and of 55-65 µM for oxidized glutathione. 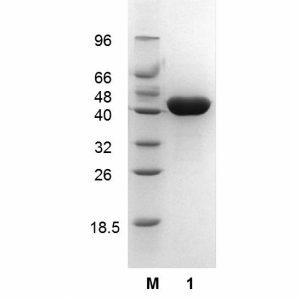 The enzyme is provided in 3.2 M ammonium sulphate.